A family of killers finally faced harsh punishment after being convicted of killing a young pregnant bride to rid her of evil. A man and three family members were jailed for a total of 58 years after being convicted of murdering his pregnant wife claiming she was possessed by evil spirits. One of the four choked Nalia Mumtaz, 21 years of age, while the other was holding Nalia, apparently in an attempt to expel the evil spirit from her body. The murderers included her husband, Mohammed Tauseef Mumtaz, who later claimed that she choked herself, his parents, Zia Ul-Haq and Salma Aslam, both 51, and his brother Hammad Hassan. The murder of the young woman was said to have been instigated by the Mumtaz parents. The four were convicted after a three-month trial after a jury ruled that they had deliberately suffocated her. Judge Keith has given them the mandatory life terms this week. He said that while the murder conviction left no doubt about what had happened in the family home in Handsworth Wood, Birmingham, the prosecution had failed to say with certainty what the motives behind the murder had been. The court heard Mumtaz, who suffers from a genetic condition that has left him deformed, married his girlfriend at a ceremony arranged in his native country of Pakistan. This was 14 months before she died, while six months pregnant with their first child. Birmingham Crown Court heard that the day before her death in the early hours of the morning, Ms. Mumtaz, who spoke no English, had sounded stressed out when she called her parents to tell them that her husband and others in their neighborhood had been suggesting that she may have become pregnant during a solo trip to Pakistan. 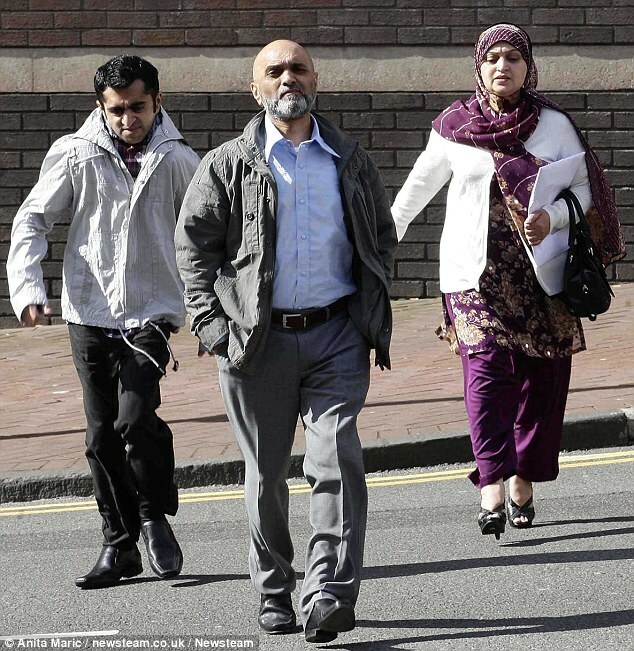 But the judge said that a less likely explanation for what happened was that the defendants believed Naila had been possessed by evil spirits a malicious spirit mentioned in the Koran, so they deliberately choked her in order to get rid of evil spirits. The judge added: "That's not an easy thing for those of us in the West to understand, but the evidence shows that the beliefs in the evil spirits are widespread in the community in which they live." During the trial, prosecutor Christopher Hotten said that the family members had told police that a person was present at the house praying to get the spirit out of her.